Only 15 more weeks until 100! 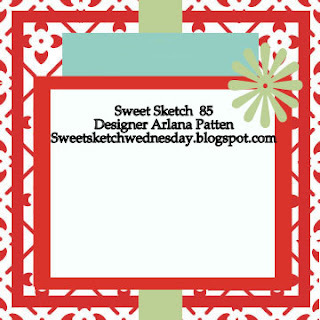 This week at SSW, Digi Stamp Boutique is our wonderful sponsor! 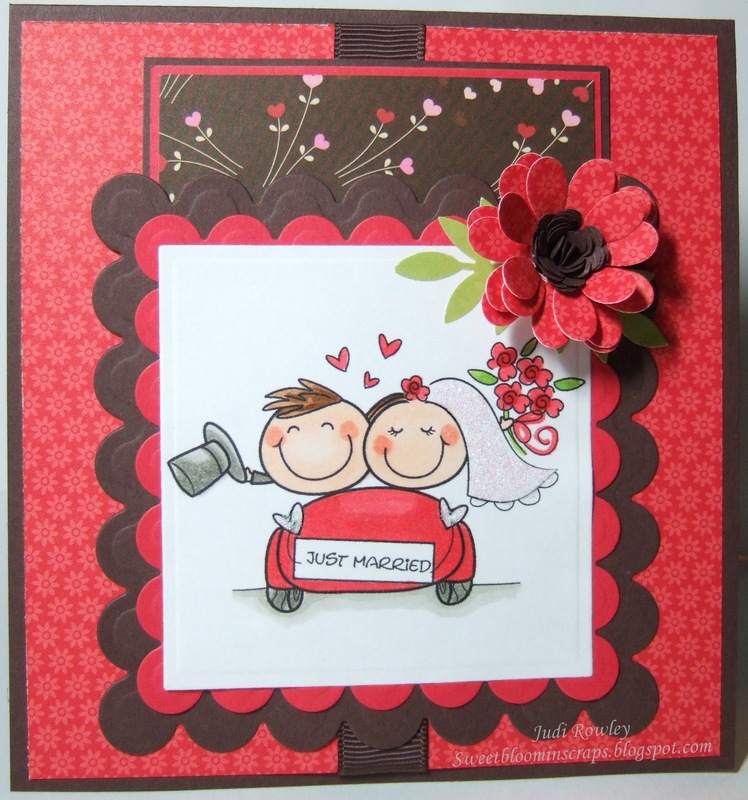 We just love Sally Ann's images. You will too! Check out her site and be sure to play along this week. I had to show this flower close up. I liked Arlana's quilled flower so much a few weeks ago that I purchased three of the Quilled Flower Kits by Cuttlebug! This is the Daisy. So fun and easy to make! I used just two of the die cuts instead of three on this flower. Totally cute! I just love their little cheeks and your flower is gorgeous!! Such a pretty color combo too! Ok, those flowers are to die for. They are soo cute. 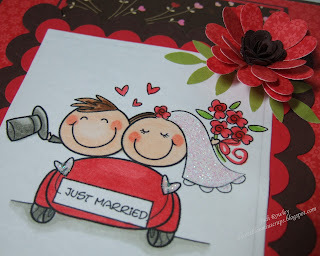 I love your image and how you added the skickles to her veil...I can tell you were having lots of fun making cards in Utah. This is as cute as can be! Have a great day Judi! Oh Judi, this card is so so awesome, just love your colours and of course a great image. I've seen those cuttlebug flowers but didn't think I would use them well I might have been wrong because this flower looks awesome. Great job and a great card love it. Judi, what a sweetie of a card!!! I love it, soooooo adorable!!! And that flower, stunning, absolutely stunning. Judi, I had so much fun while you were here . Miss ya. Your card is so adorable. It was so fun wating it come togethere. Love the fun sweet colors. That flower just is the perfect touch. Love ya thanks for all you do. Such a sweet card with this happy couple image and your beautiful papers!! Oh my I love your flowers - and now must have this die too!! Gorgeous!!!! Your card is gorgeous. I love the flowers. Thanks for your wonderful comments each week. Beautiful card Judi! I love the colour combo & the bride's sparkly veil is very sweet & not forgetting the gorgeous flower! 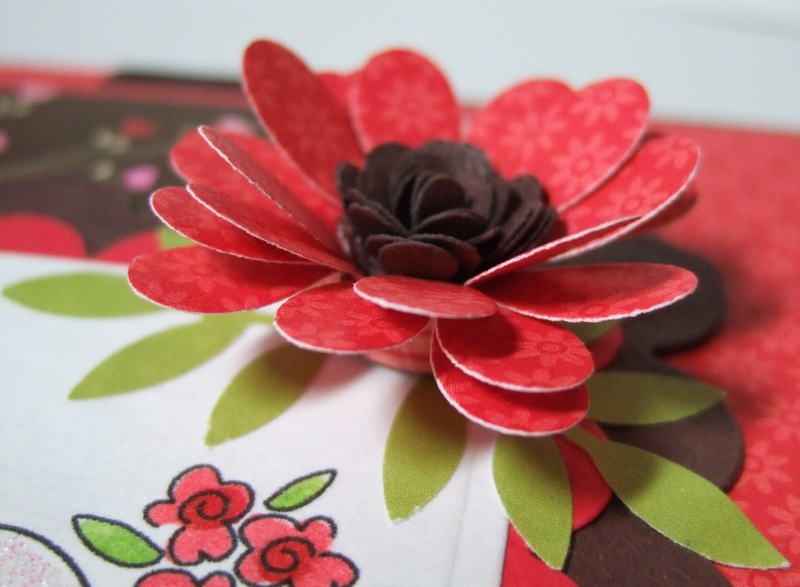 You have my mouth watering for those Cuttlebug quilling flower dies! This is a beautiful card - such a stunning color and paper combination. And of course who could resist that beautiful glittery veil on the bride!